Kentucky Gov. Matt Bevin, a Republican, speaks to state legislators in 2018. Bevin, who is running for re-election this fall, asked the federal government to impose work requirements on many people who receive Medicaid. Bevin's predecessor, a Democrat, did not seek these requirements when he expanded the program under the Affordable Care Act. The ruling Wednesday by U.S. District Judge James Boasberg blocks Kentucky from implementing the work requirements and Arkansas from continuing its program. More than 18,000 Arkansas enrollees have lost Medicaid coverage since the state began the mandate last summer. Boasberg said that the approval of work requirements by the Department of Health and Human Services "is arbitrary and capricious because it did not address ... how the project would implicate the 'core' objective of Medicaid: the provision of medical coverage to the needy." The decision could have repercussions nationally. The Trump administration has approved a total of eight states for work requirements, and seven more states are pending. Still, health experts say it is likely the decision won't stop the administration or conservative states from moving forward. In a statement, Centers for Medicare and Medicaid Services Administrator Seema Verma suggested the rulings would not dissuade her efforts to approve work requirements in other states. Many health law specialists predict the issue will ultimately be decided by the Supreme Court. Kentucky Gov. Matt Bevin, a Republican, has threatened to scrap the Medicaid expansion unless his state is allowed to proceed with the new rules; if he follows through with that threat, more than 400,000 new enrollees would lose their health coverage. He said the work requirement would help move some adults off the program so the state has enough money to help other enrollees. Bevin, who is running for re-election this fall, had threatened to end the Medicaid expansion during his last campaign but backed off that pledge after his victory. Arkansas officials have not said what they plan to do. In his decision on Kentucky, Boasberg criticized HHS officials for approving the state's second effort to institute work requirements partly because Bevin threatened to end the Medicaid expansion without it. Under this reasoning, the judge said, states could threaten to end their expansion or do away with Medicaid "if the Secretary does not approve whatever waiver of whatever Medicaid requirements they wish to obtain. The Secretary could then always approve those waivers, no matter how few people remain on Medicaid thereafter because any waiver would be coverage-promoting, compared to a world in which the state offers no coverage at all." The decision by federal officials in 2018 to link work or other activities such as schooling or caregiving to eligibility for benefits is a historic change for Medicaid, which is designed to provide safety-net care for low-income individuals. Top Trump administration officials have promoted work requirements, saying they incentivize beneficiaries to lead healthier lives. Democrats and advocates for the poor decry the effort as a way to curtail enrollment in the state-federal health insurance entitlement program that covers 72 million Americans. Despite the full-court press by conservatives, most Medicaid enrollees already work, are seeking work, go to school or care for a loved one, studies show. 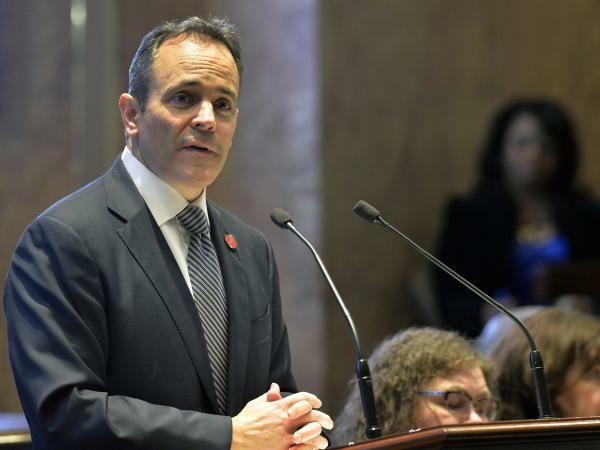 Critics of the work policy hailed the latest ruling, which many expected since Boasberg last June stopped Kentucky from moving ahead with an earlier plan for work requirements. The judge then also blasted HHS Secretary Alex Azar for failing to adequately consider the effects of the policy. "This is a historic decision and a major victory for Medicaid beneficiaries," said Joan Alker, executive director of the Georgetown University Center for Children and Families. "The message to other states considering work requirements is clear — they are not compatible with the objectives of the Medicaid program." Sally Pipes, president of the conservative San Francisco-based Pacific Research Institute, called the ruling "a major blow" to the Trump administration but said this won't end its efforts. "The Department of Health and Human Services is very committed to work requirements under Medicaid," Pipes said. "It is my feeling that those who are on Medicaid who are capable of working should be required to work, volunteer or take classes to help them become qualified to work," she added. "Then there will be more funding available for those who truly need the program and less pressure on state budgets." Several states, including Virginia and Kentucky, have used the prospect of work rules to build support among conservatives to support Medicaid expansion, which was one of the key provisions of the Affordable Care Act. 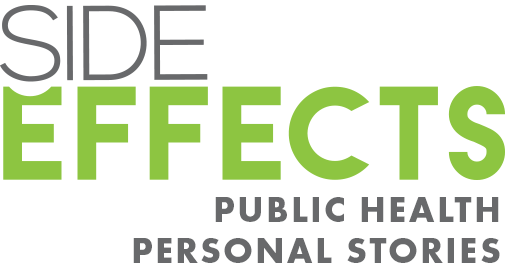 That expansion has added more than 15 million adults to the program since 2014. Particularly irksome to advocates for the poor: Some states, including Alabama, which didn't expand Medicaid, are seeking work requirements in the traditional Medicaid program for parents who have incomes as low as $4,000 a year. The legal battle centers on two issues — whether the requirements are permissible under the Medicaid program and whether the administration overstepped its authority in allowing states to test new ways of operating the program. Alker said that state requests for Medicaid waivers in the past have involved experiments that would expand coverage or make the program more efficient. The work requirements mark the first time a waiver explicitly let states reduce the number of people covered by the program. States such as Kentucky have predicted the new work requirement would lead to tens of thousands of enrollees losing Medicaid benefits, though they argued that some of them would get coverage from new jobs. Under the work requirements — which vary among the states in terms of which age groups are exempt and how many hours are required — enrollees generally have to prove they have a job, go to school or are volunteers. There are exceptions for people who are ill or taking care of a family member. In Arkansas, thousands of adults failed to tell the state their work status for three consecutive months, which led to disenrollment. For the first several months last year, Arkansas allowed Medicaid recipients to report their work hours only online. Advocates for the poor said the state's website was confusing to navigate, particularly for people with limited computer skills. While the administration said it wanted to test the work requirements, none of the states that have been cleared to begin have a plan to track whether enrollees find jobs or improve their health — the key goals of the program, according to a story in the Los Angeles Times. Craig Wilson, director of health policy at the Arkansas Center for Health Improvement, a nonpartisan health research group, said he believes policymakers will appeal court rulings all the way to the Supreme Court. "As long as they hold on to hope that some judge will rule in their favor, states will continue to pursue work requirements," Wilson said.